I have to admit, I have a rebellious tendency that can get me into trouble. I recall a personality test I took at work years ago, where the watch out for my manager was to "understand his need to rebel." I also rated high on "mischievous" on another assessment, defined as a "fondness for causing trouble in a playful way." This can make for a dangerous combination, but also has some positives in that I'm willing to take risks and challenge the status quo when a different direction may be needed. So why do we rebel? It's because we resist control and authority. We see it as teenagers when we resist our parents' control and authority over our lives, and as adults in the workplace when we resist a manager's direction or a company policy. And we see it in the Bible, with many examples of people who resist submitting their will to God because of their desire for control and independence. I was spending time with God recently during a period of heightened rebellion in my relationship with Him, when He said, "Strawberries." I was left with the impression that He was using this to describe me, so I looked up strawberries to discover what it was about them that He attributed to me. Sure enough, I learned that strawberries can be very high maintenance. When in growth mode, strawberries produce "runners," or vines that extend from the "mother" plant and try to grow new "daughter" plants. The problem is, these runners take energy away from the mother plant, and farmers typically trim most of these runners back to allow for more growth of the mother plant. 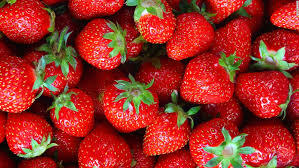 So while strawberries have many outstanding health benefits and taste great, farmers who grow strawberries know they are dealing with a fruit that takes more care than others. What does this mean for those of us who tend to be more rebellious? It's actually great news, because God created each of us to be special and unique, and He knows that He has to tend the "garden" of His creation in unique ways. It's no surprise that He began creation with the Garden of Eden, with its large variety of plants and trees. He loves tending to His garden of unique personalities with each person He created, and He's not scared or intimidated by your unique personality traits. But now that I know I'm a strawberry in God's garden, I want to be more mindful of the potential "runners" in my life that keep me from bearing the best fruit possible. For me it's rebellion and the desire to have control. I can ask God to expose and trim back these runners, so I can better submit to His perfect plan and will for my life. What runners are getting in the way of your best life? Ask God, the perfect Gardner, to expose and trim these areas, so you can bear the fruit God intended.